Affiliation: Assistant Professor, Communication, UCSD. Faculty, LCHC. 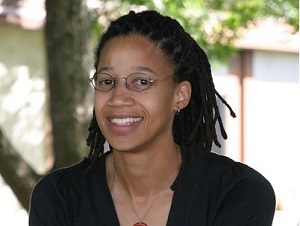 Angela Booker is currently studying the ways youth, families, and schools make use of media and technology for participation, learning and community development. She is particularly concerned with addressing barriers that diminish access to public participation among underrepresented and disenfranchised communities. She uses ethnographic, qualitative and design-based research methods to examine typical and emerging practices where youth and adults work together (and at times, in conflict). Collaborations with youth, community partners, educators and scholars form the basis of her work.